Why Should I Choose a Catholic School? Catholic schools have served American families since the 17th century, often preceding the first public educational institutions. 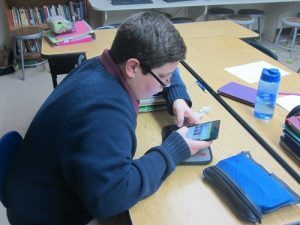 The Catholic school advantage is reflected in the philosophy that permeates the total educational program and the lives of the faculty and students. It is this philosophy that challenges students to improve the world by sharing Gospel values and encourages them to achieve their very best. Over 99 percent of Catholic school students will graduate from high school. And 80 percent of graduates go on to attend a four-year institution of higher learning. 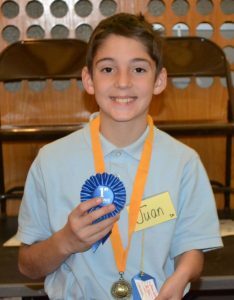 Student achievement in Catholic schools for fourth, eighth and twelfth grades was consistently higher than their public school peers, as indicated from standardized tests in math, reading and writing. Catholic schools seek to prepare our children in mind and spirit during the most formative and vulnerable time of their lives so that they can live lives full of hope, joy and peace, no matter what challenges they meet. Students are given the opportunity to put their values to use in the classroom, at lunch and during recess. Catholic Schools offer students a safe and supportive environment. Catholic School success depends firmly on the partnership of our parents, the first and foremost educators of our children, who provide overwhelming gifts of time, talent and treasure to our schools. Family input and involvement results in higher attendance rates and lower dropout rates. Catholic Schools develop the whole person, challenging each student to reach his or her full potential. Personal family tours are available. Please call the school office 734-821-2200 to set up an appointment. Registration for the 2019-2020 school year begins on Sunday, February 3, 2019. Can I Afford to Send My Child to a Catholic School? A Catholic school is worth the cost. Your child’s tuition is an investment, which pays lifelong dividends. Because there is such an emphasis on efficiency and accountability, Catholic schools represent affordable excellence. It’s not just a smart investment in education; it’s a smart investment in your family’s future. Our school also enables you to make monthly payments making tuition affordable for most families. Note: For families that are practicing members of St. Francis of Assisi Parish, we do offer scholarships/need-based tuition assistance. Also, the Diocese of Lansing offers scholarships for students entering grades six through eight. For further information contact us at school@stfrancisaa.org. Do We Need to Be Catholic to Attend St. Francis School? St. Francis welcomes students of all religious, racial and ethnic backgrounds and at all grade levels. We offer a faith- and value-based education to all. We have one objective — to cultivate the growth of each student as a whole person. This means that we not only work to help our students achieve academic excellence, but we also devote a lot of attention to the thoughtful construction of a child’s character. We make a point of teaching our students about the value of self-worth, as we stress the importance of academic achievement. If your family is not Catholic, your child will learn about the Catholic faith, share in prayer and join in the preparation of sacraments without receiving those sacraments. 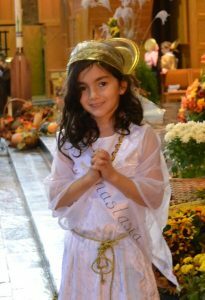 While being a part of a larger family, we find that most children want to be a part of the process and involved in every aspect with their friends, even if they are not receiving their sacraments. How Long Is Your Kindergarten Program? 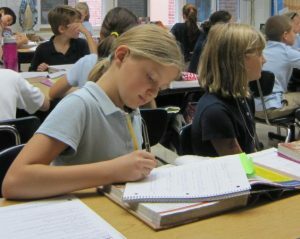 We have two options which include a full-day academic program and a half-day academic program (7:55 a.m. – 12:00 p.m.). How Do Test Scores Compare with Other Public and Private Schools in the Area? St. Francis School is fully accredited by the Michigan Association of Non-Public Schools and the National Catholic Educational Association. St. Francis test scores rate higher than most of the surrounding area schools. Graduates attend Father Gabriel Richard Catholic High School, Greenhills, Mercy, Ladywood, Catholic Central, and area public schools. What Do You Offer in Addition to the Required Curriculum? Religion and religious education are integrated into daily activities and the curriculum. Each day begins with prayer and students attend weekly Mass in mixed age groups to encourage a strong sense of community. St. Francis also offers Spanish to students in preschool through eighth grade as well as computer technology, library, physical education, art and music. Students in fourth through sixth grades take band and may choose it as an elective in middle school. 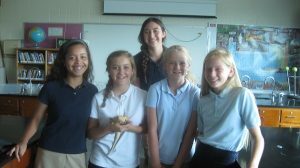 Additional electives for seventh- and eighth-grade students include Health & Nutrition, Drama and Yearbook, to name a few. Extracurricular activities include Scouting and both instrumental and vocal music programs, among others. 4th -8th grade students may participate in soccer, cross country, volleyball, basketball and track and field. All sports teams follow a no-cut policy. In addition, elementary sports programs are offered through the Ann Arbor Community Rec and Ed program. Children can play on sports teams with other St. Francis students in this program. Do You Offer Before- or After-school Care? Yes, students may arrive as early as 6:45 am for before-school care. After-school care runs until 6:00 pm. The Extended School Program can be reached at 734-821-2290. Yes, students in kindergarten through eighth grade wear uniforms. Uniforms create a more formal learning environment, allowing for less distraction. Boys and girls can wear white, navy or maroon blouses, turtlenecks and polo shirts. Shorts and pants can be either khaki or navy. Girls in kindergarten through fifth grade may wear jumpers and girls in sixth through eighth grade may wear skirts. Uniform attire is purchased through Educational Outfitter’s. The link for our school is here. Does Your School Provide Transportation for Students? No, carpooling is the most common means of transportation for our students.